Neon Coat is an app that lets people who are beautiful sign up for free, and get free things from businesses that want exposure. They get free access to things like free restaurant meals, concerts, fitness classes and beauty treatments. “In exchange, they’ll hang around and share a story [on Instagram] about the space,”. He says sharing/making a post isn’t mandatory either. 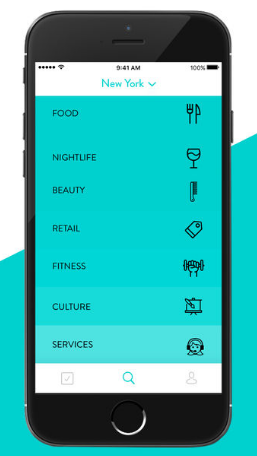 Dan Berger, the founder of the app says that the app is to help beautiful people and models find a better and easier way to live and manage their own earnings. He says that the industry takes advantage of models and beautiful people. This app lets them manage their own lives and not depend on agencies, able to live off of schedule, and live with ease. Beautiful people have been getting access to free clothes, free classes, getting their hair and nails done for free and much more. 35 year old model Dominyka Bernes posts her outings to free yoga classes and free restaurants twice a week to her 3000 followers on IG.